Which states are eating the most Halloween candy? Halloween time means costumes galore, pumpkin carving, haunted houses, and, of course, lots and lots of candy! But how much candy are we really eating? And do we walk any of it off trick-or-treating? We wondered if data shared on Halloween last year by our Achievement members could help to shed some light on these questions! 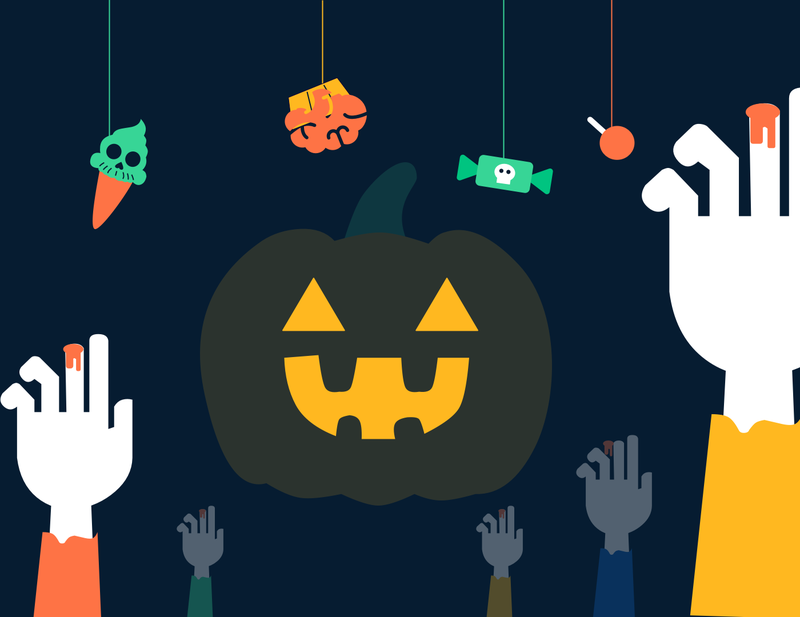 We’re excited to share some fun Halloween insights that we discovered. Who’s keeping track of their trick or treat candy? Who’s logging the most calories on Halloween? It’s no surprise that as people log less food on Halloween, they also report fewer calories on average. On Halloween, the average number of calories that people report is actually far less than what a typical person would eat in a day — by about 50%! However, there are a few states (Oregon, Florida, and North Carolina) that actually report more calories eaten on Halloween. Honest Oregon reports both more calories and has a higher percent of people reporting calories on Halloween — how responsible! California, Ohio, and West Virginia on the other hand have the largest drop in calories eaten, but this seems to be because they are tracking their food less overall on Halloween (not necessarily less candy eaten!). Who’s getting in the longest trick or treating trek? Halloween may be considered a diet cheat day, but are we walking off more of our candy calories trick-or-treating? The answer is yes! We saw that overall average steps/day increase across all states in the US on Halloween. While everyone seems to be walking around more on Halloween, moms take the real trophy for Halloween steps. Moms walk a whopping 29% more than usual on Halloween, while dads take only 18% more steps than they do on average on the holiday. Happy Halloween from Achievement. We dare you to check your steps this holiday and share how you fared!